ARGYLE — State Police are investigating the Sunday morning crash of a single-engine private plane, which resulted in minor injuries to the pilot and passenger. Crews from the J.A. Barkley Hose Co. and Argyle Emergency Medical Services were called to a field just north of a home at 671 Route 47 Sunday at about 10:40 a.m. 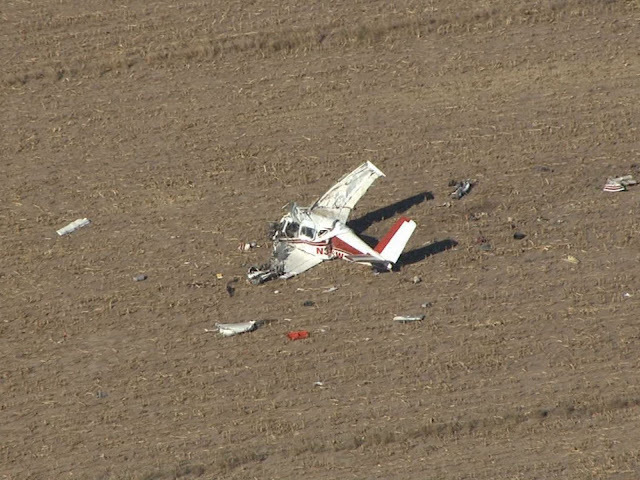 The plane, a Cessna 172, crashed in the field shortly after takeoff and was upright when emergency officials arrived. Emergency crews helped the injured out of the plane, and they were transported to Glens Falls Hospital by Argyle EMS. State Police did not provide the name of the people who had been in the plane. The plane was later moved to an upright position. The plane was on private property but was visible through the trees from Route 47. Officials said it had hit several trees after it crashed. Argyle units had cleared the scene by 12:30 p.m., but State Police were there throughout the afternoon holding the area for the NTSB investigators, who are called in for plane crashes. Officials reported the plane was leaking fluids, and the Department of Environmental Conservation was also contacted. The plane had been fully fueled before taking off, and the crash took place in the vicinity of wetlands. State Police said they expected to issue a press release on the crash later Sunday or on Monday. The crash was the second in Argyle in the last five months. 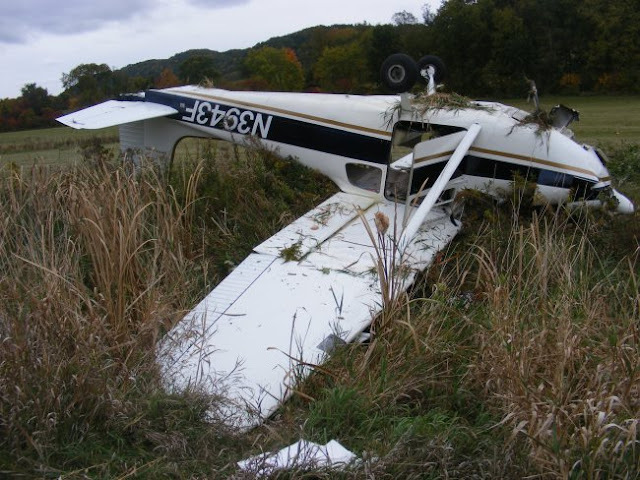 In October, a 1958 Cessna Skyhawk 172 carrying a pilot and his passenger crashed Saturday afternoon in a field just off the runway at the airport on Route 40 in Argyle. The plane’s pilot, Gary V. Townsend, 55, of Sunderland, Vermont, was completing a portion of a pilot re-certification flight, Washington County Sheriff Jeffrey J. Murphy said in a release. “He came in at too slow a speed and hit the runway,” Sgt. Tim Carroll of the sheriff’s department said at the scene. “Then the plane struck a tree and the plane flipped over.”An Argyle instructor, Richard J. Bovey, 72, was the only passenger in the aircraft. Both men suffered minor injuries and were checked at the scene by emergency responders, Carroll said. Also on Sunday, Sen. Chuck Schumer released a letter he wrote to the National Transportation Safety Board, asking to conduct an in-depth investigation of small plane crashes, following two other incidents last month and at least 18 crashes in New York last year. The New York Democrat wants the agency to look into why the small plane crashes are happening and possible additional safety measures. The NTSB said it would review the letter once it’s been received. ARGYLE, N.Y. (NEWS10) — The Washington County Sheriff’s Office has confirmed multiple agencies are responding to a small plane crash that occurred off Route 47 in Argyle, N.Y. just before 11:00 Sunday morning. 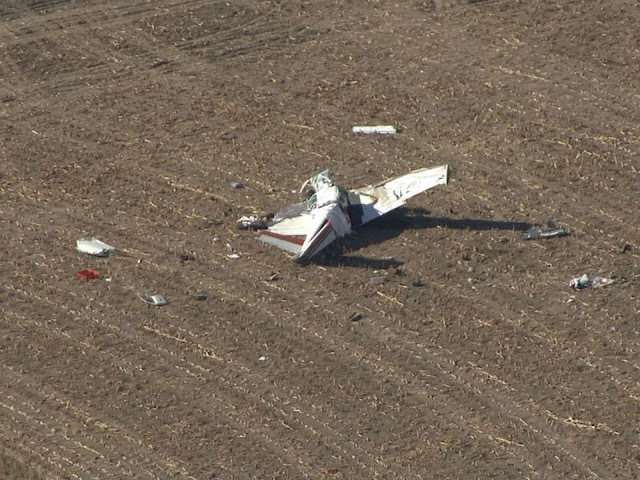 Officials say two people were onboard the plane at the time of the crash and suffered minor injuries. The pilot reported that during a biennial flight review (BFR), while in the traffic pattern, the flight instructor reduced the throttle to idle to simulate a total engine failure. He further reported that during the base to final turn, the airplane was slow, and the stall warning horn was audible. 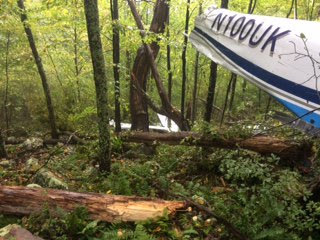 During touchdown, the airplane landed hard, bounced, veered off the runway to the right, impacted a tree, and then nosed over. The pilot’s failure to maintain a stable descent rate and his improper landing flare, which resulted in a hard landing. ARGYLE — Two men walked away with minor injuries after a 1958 Cessna Skyhawk 172 flipped over near the runway at Argyle Airport following a pilot re-certification flight Saturday afternoon, the Washington County sheriff said. Gary V. Townsend, 55, of Sutherland, Vt. was piloting the Cessna during the re-certification flight with instructor Richard J. Bovey, 72, of Argyle. Both men suffered minor injuries, were treated at the scene by emergency medical technicians and declined to be taken to a hospital, Sheriff Jeffrey J. Murphy said. 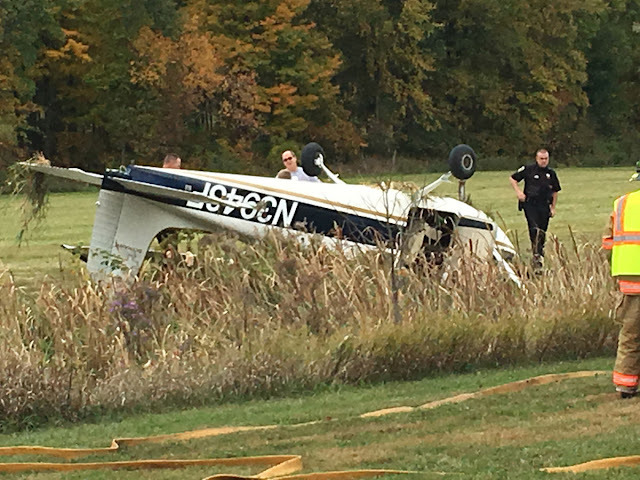 The crash occurred at about 2 p.m. and the plane landed upside-down just east of the runway at the Argyle Airport on State Route 40, Murphy said. Deputies Brad Hamilton, John Whitney and Sgt. 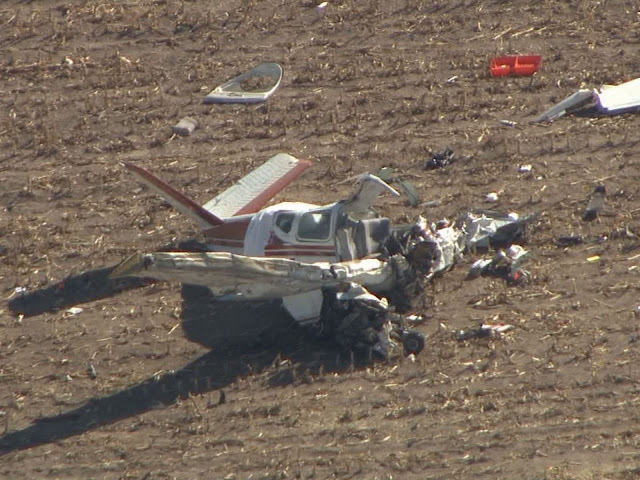 Tim Carroll responded to the crash, which is being investigated by the Federal Aviation Administration. Argyle Fire and EMS and the state Department of Environmental Conservation were also at the scene. The plane suffered significant damage, Murphy said. ARGYLE — A 1958 Cessna Skyhawk 172 carrying two passengers crashed Saturday afternoon into a field just off the runway at the airport on Route 40 in Argyle. The plane's pilot, Gary V. Townsend, 55, of Sunderland Vt., was completing a portion of a pilot re-certification flight, Washington County Sheriff Jeffrey J. Murphy said in a release. "He came in at too slow a speed and hit the runway," Sgt. Tim Carroll of the Sheriff's Department said at the scene. "Then the plane struck a tree and the plane flipped over." The Argyle flight instructor, Richard J. Bovey, 72, was the only passenger in the aircraft. 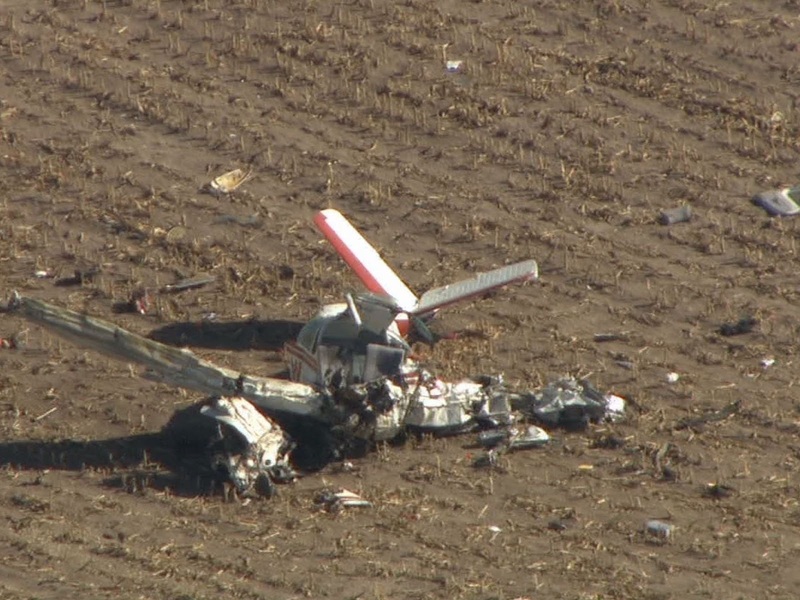 The FAA was contacted and will be investigating the cause of the accident, according Murphy. The plane was significantly damaged, he added. ENCON units along with Argyle Fire and EMS assisted at the scene. 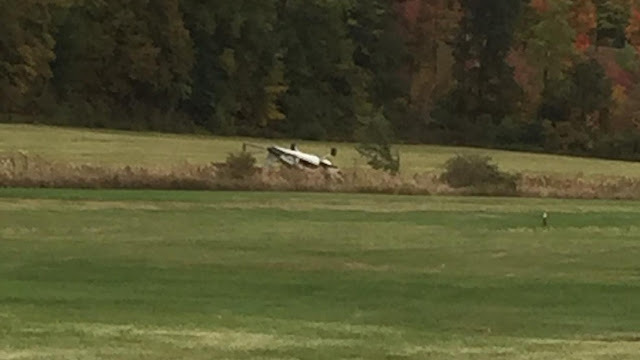 ARGYLE, N.Y. (NEWS10) — Police say the Washington County Sheriff’s Office responded to a report of a plane crash at the Argyle Airport Saturday afternoon. Sheriff’s deputies located the plane, which was a 1958 Cessna Skyhawk 172, upside down, just east of the runway. Deputies located the two people who were involved in the crash as well. Gary Townsend, 55, of Sunderland, Vermont was the pilot of the aircraft and was completing a portion of a pilot re-certification flight. Richard Bovey, 72, of Argyle, N.Y., was the instructor and passenger in the plane. Both suffered apparent minor injuries and were checked by EMS at the scene. They declined transport to the hospital. The Federal Aviation Administration will be investigating the cause of the accident. The plane suffered significant damage. Along with the sheriff’s office, Argyle Fire Department and EMS were at the scene assisting. 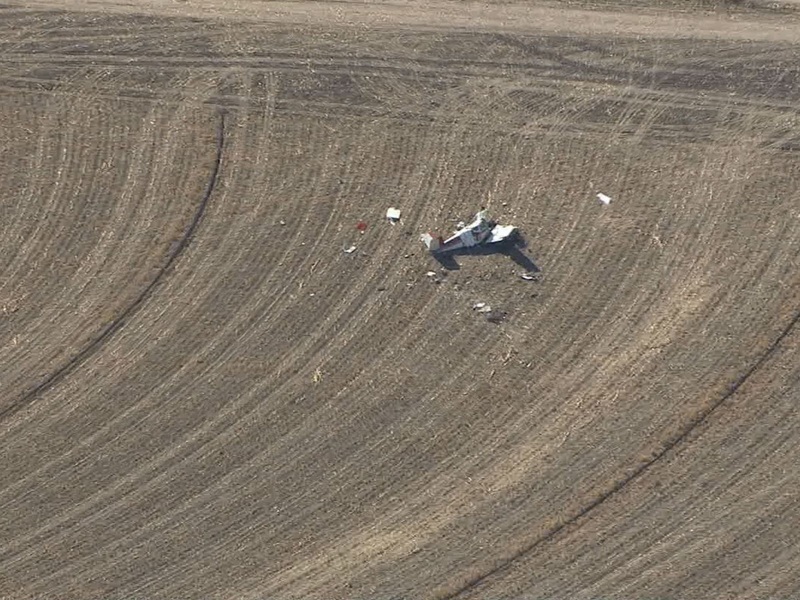 ARGYLE -- The FAA is looking into a plane crash at the Argyle Airport Saturday afternoon. The Washington County Sheriff's Office said two men were treated at the scene for minor injuries. 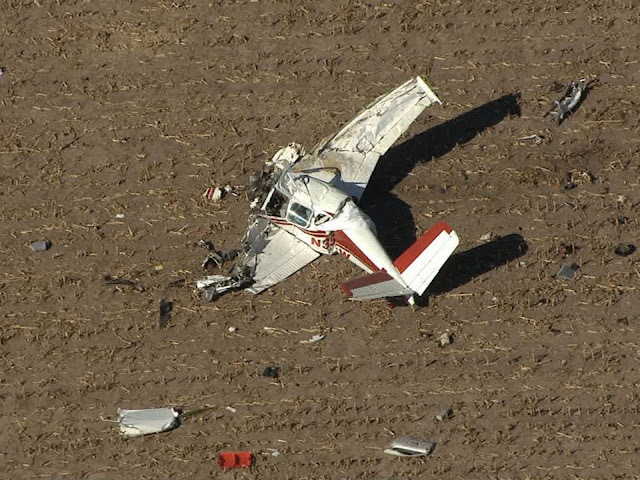 The pilot suffered cuts and scrapes, and the instructor had minor injuries including one to his ear. 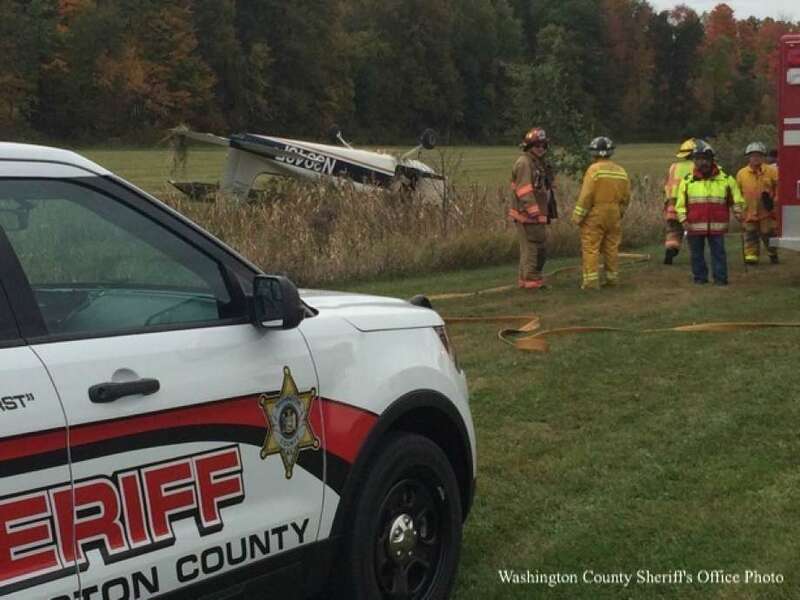 The Sheriff's Office reported it found the plane upside-down, with significant damage. 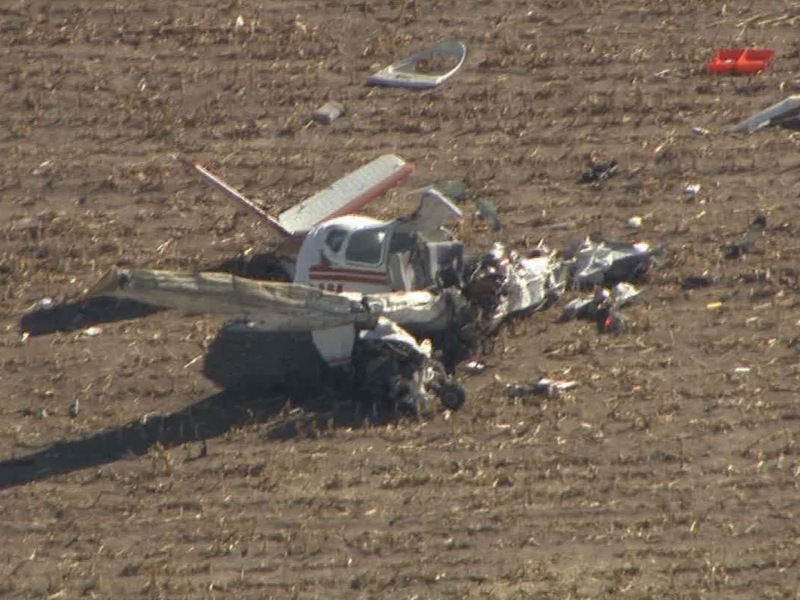 Federal air crash investigators say a pilot’s lack of familiarity with his plane’s fuel system and pilot error contributed to a 2015 propeller plane crash near Eaton that left two Kansas men dead. 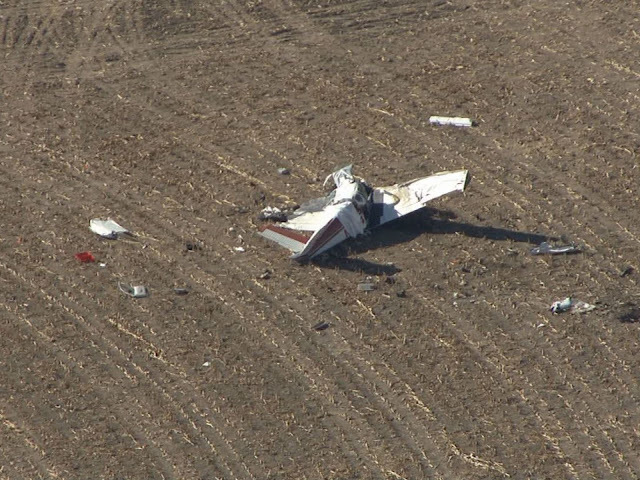 The National Transportation Safety Board said in a report released last week that the pilot lost control in gusting wind and crashed because of the error. However, a loss of engine power put the pilot in its perilous position. That loss of power was caused by pilot’s unfamiliarity with the plane’s fuel system, according to the NTSB’s probable cause report on the crash of a Beech 35 Bonanza aircraft in a field about 3 miles northeast of Eaton. The plane was equipped with a single fuel gauge for its six fuel tanks. Only one tank could be monitored at a time. The right main tank was empty, starving the engine of fuel, the NTSB report stated. Investigators said, the plane had enough fuel on board to make it to its destination at the Greeley-Weld County Airport. Still, the engine began to sputter, according to witnesses cited in the report. That’s when the plane encountered turbulence. “The pilot then failed to maintain control of the airplane while flying in gusting wind and low-level wind shear conditions,” the report stated. 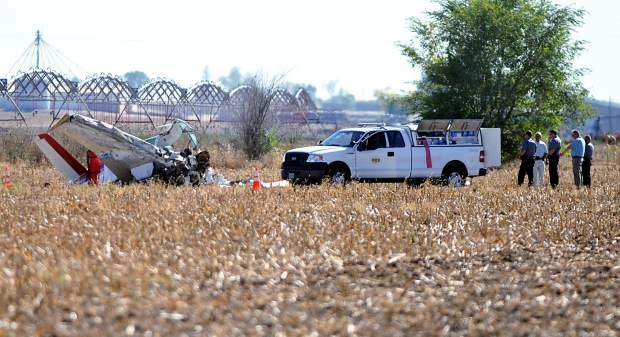 The single-engine plane crashed into a field just before 11:40 a.m. on Oct. 13, 2015. The field encompasses about a half-mile by half-mile tract of land between Weld roads 43 and 45, and Weld roads 78 and 80. 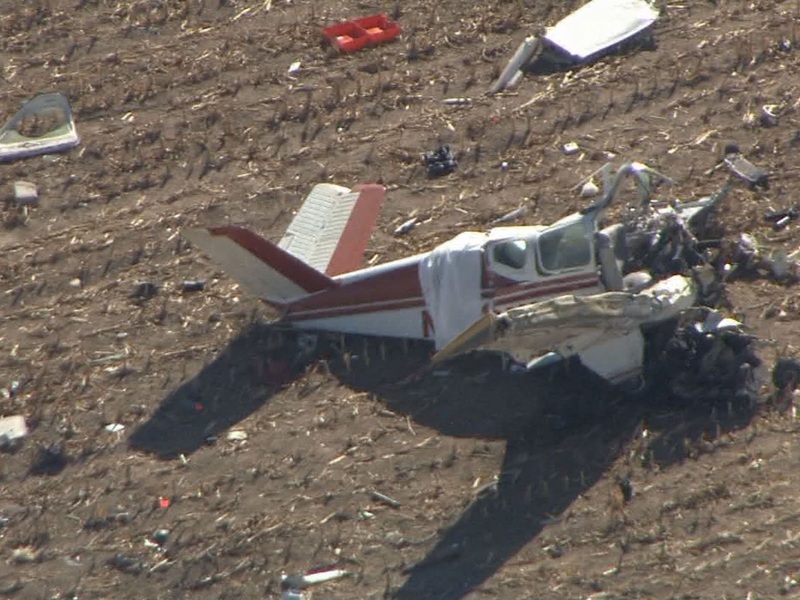 The Bonanza crashed about a quarter-mile south of Weld 80 in the middle of a field. The plane sat on the ground in a crumpled mass, with the front end completely destroyed and blackened. 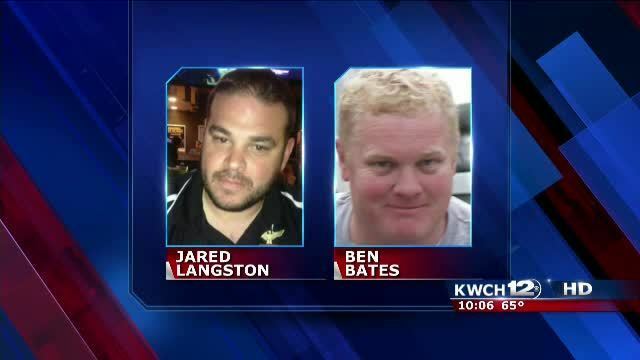 The two men aboard the plane were leaders in the Great Bend Ward of the Church of Jesus Christ of Latter-day Saints in Kansas. The pilot was identified as 35-year-old Jared Langston, of Holyrood, Kan. A happily married man and father to two boys, Langston served the church in many capacities, including Elders Quorum president and Young Men president. 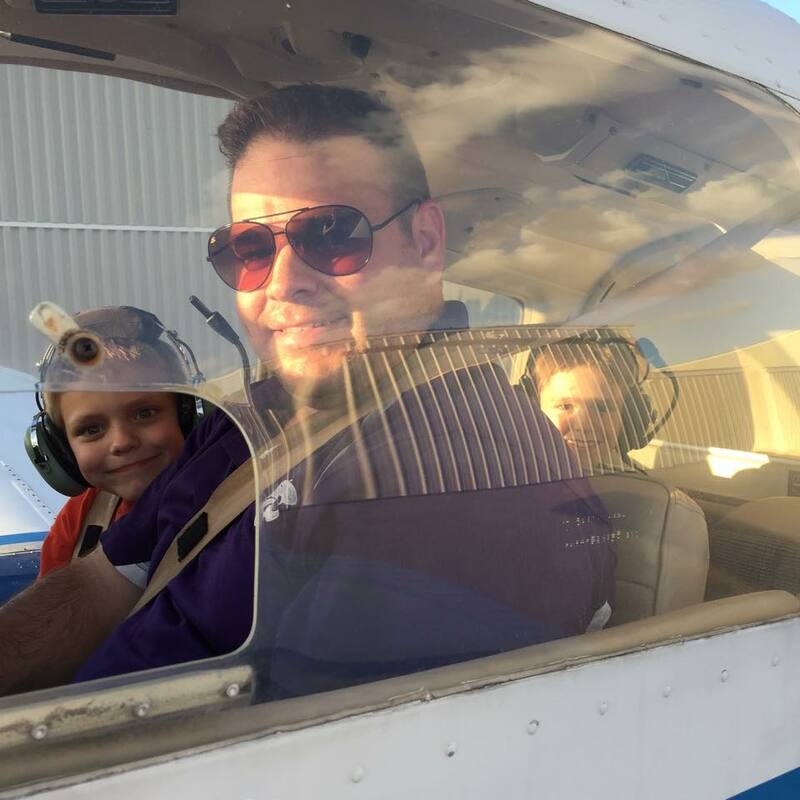 The passenger was identified as 41-year-old Benjamin Bates, of Lyons, Kan. For about the two years prior to the crash, he served as bishop of the Great Bend Ward. He owned Westcrete, Inc., a cement contracting company that specializes in commercial-sized structures for the agricultural industry, such as large chicken coops. Bates was working on a construction project about 2 miles east of Platteville. 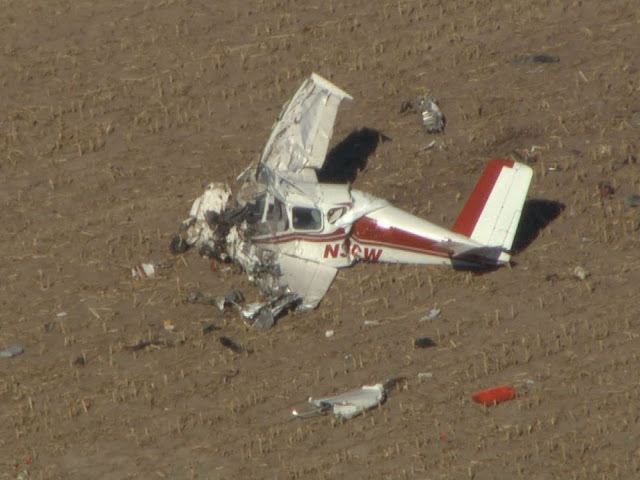 The commercial-rated pilot and passenger (who owned the airplane) were conducting a cross-country business flight. Several witnesses reported observing the accident airplane overhead; one witness stated that the engine made a “sputtering” sound like it was running out of gas. She stated that airplane was flying north and then turned west when it began to “nose dive” out of sight. A review of the radar data revealed that the airplane approached the destination airport from the southeast and proceeded north, tracking above the runway about 400 ft above ground level (agl). The airplane then climbed to 900 ft agl and continued northbound. About 8 miles north of the destination airport, the airplane was about 1,100 ft agl and then entered a left turn and descended. The last radar point showed the airplane on a southwest heading and about 350 ft agl. The airplane impacted the ground with its left wing low, cartwheeled to the right, and came to rest upright in a harvested corn field. The main wreckage was found about 460 ft southwest of the last radar point. The accident airplane likely encountered low-level wind shear and clear air turbulence and a wind shift that switched from a gusting headwind to a gusting tailwind in a short amount of time. The right main fuel tank, which the selector valve indicated was selected at the time of the accident, was found empty and was not breached. The engine carburetor did not contain any fuel. A postaccident examination of the engine and airframe did not reveal any preimpact mechanical malfunctions or anomalies that would have precluded normal operation. The pilot reported that the main tanks were full and the tip tanks were empty, so it is likely that the airplane contained 60 gallons of fuel before departure. 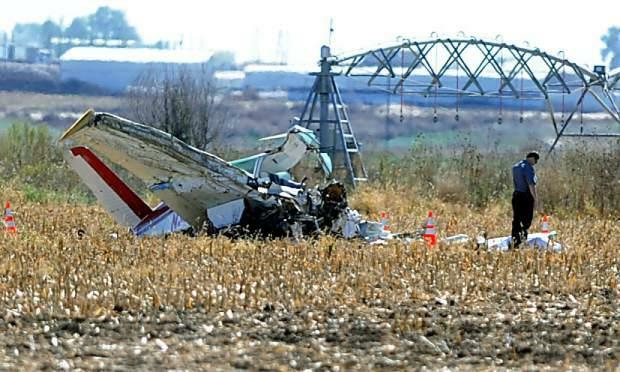 The radar data revealed that the accident flight was 3 hours 16 and minutes long. Based on the accident flight, the engine would have consumed about 40 gallons of fuel from initial taxi to the accident site. This should have left about 20 gallons remaining in the tanks, which would have been enough to fly to the destination airport in addition to reserve fuel. The accident airplane was equipped with a single fuel quantity indicator gauge for the six fuel tanks; only one tank could be monitored at any given time. Switches on the instrument panel allowed the pilot to select which tank to monitor on the gauge. The pilot and airplane’s new owner had limited experience in the airplane and with the airplane fuel indicating system, so they likely had the fuel indicator selected to another fuel tank and did not appropriately monitor the level of fuel in the right main tank, which was selected to feed the engine. Based on witness statements and the evidence obtained on-scene, it is likely that the engine was starved of available fuel. Once engine power was lost, the pilot then failed to maintain control of the airplane while flying in gusting wind and low-level wind shear conditions. The pilot's loss of airplane control in gusting wind conditions and low-level wind shear, following a loss of engine power due to fuel starvation. Contributing to the accident was the pilot’s failure to properly monitor the fuel level inflight because of his unfamiliarity with the fuel system. 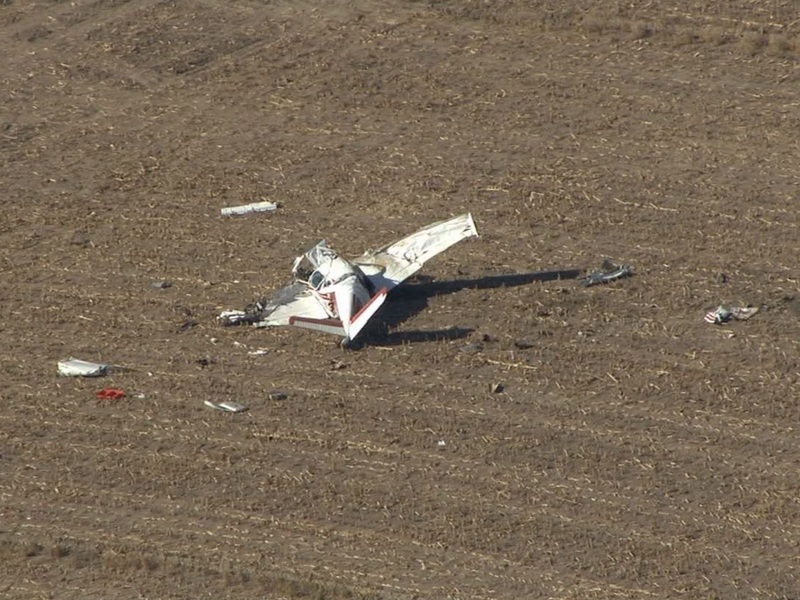 On October 13, 2015, at 1134 mountain daylight time (MDT), a Beech G35 airplane, N394CW, collided with terrain near Eaton, Colorado. 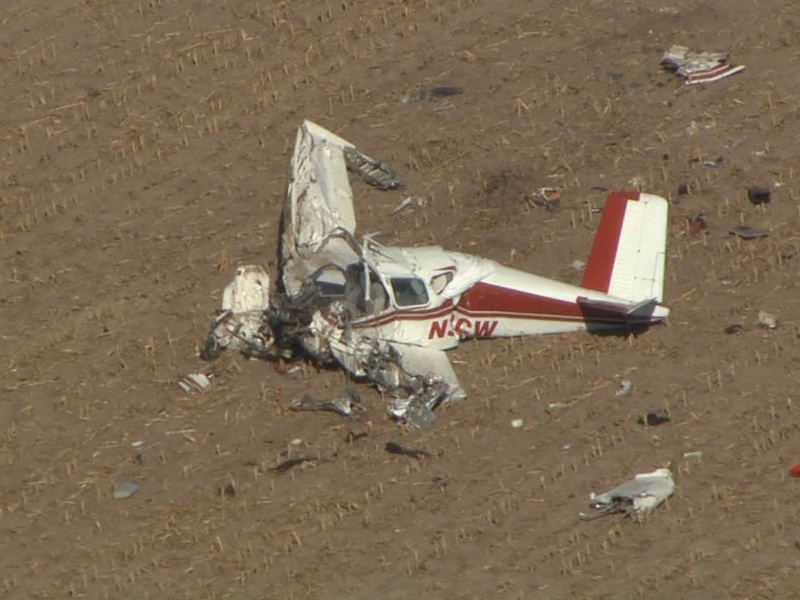 The commercial rated pilot and passenger were fatally injured. The airplane was registered to and operated by a private individual under the provisions of 14 Code of Federal Regulations Part 91 as a personal flight. Visual meteorological conditions prevailed at the time of the accident and no flight plan was filed. The flight originated from the Lyons-Rice County Municipal Airport (LYO), Lyons, Kansas, at 0918 central daylight time (CDT) and was destined for the Greeley-Weld County Airport (GXY), Greeley, Colorado. The LYO airport manager stated that the accident airplane was purchased by a new owner on October 10, 2015, who rented a hangar at LYO to store the airplane. On the morning of the accident the owner arrived at LYO about 0800. The airport manager helped the owner pull the airplane out of the hangar and service the main fuel tanks with a total of 17.4 gallons of 100 low-lead fuel. The new owner had never moved or fueled the airplane. The manager added that the accident pilot was not present during the fueling process. The pilot and the owner departed after 0900 and were flying to GXY for a meeting. Several witnesses reported observing the accident airplane overhead and the engine made a "sputtering" sound as if it was running out of fuel. The airplane was flying north and then turned west when it began to "nose dive" out of sight. The witnesses found the airplane crashed in a harvested corn field. A review of the radar information revealed the airplane departed LYO at 0918 CDT and proceeded northwest. At 1127 MDT the airplane approached GXY from the southeast and proceeded north, tracking about 400 ft agl above the runway. The airplane climbed to 900 ft agl and continued northbound. About 8 miles north of GXY the airplane was about 1,100 ft agl, then entered a left turn and descended. At 1134 MDT, the last radar point showed the airplane on a southwest heading about 350 ft agl. The main wreckage was found about 460 ft from the last radar point on a heading of 215 degrees. About 1130 MDT, two GXY airport employees heard an expletive on the universal communications (UNICOM) radio. There were no other transmissions or formal contact over the UNICOM radio. The pilot, age 35, held a commercial pilot certificate with ratings for airplane single engine land, multi-engine land, and airplane single engine sea and instrument airplane. He also held flight instructor certificate with a rating for single engine airplane. On March 13, 2014, the pilot received a first class Federal Aviation Administration (FAA) medical certificate with no limitations; however, it was valid as a third class medical certificate at the time of the accident. At the time of the exam, the pilot reported his flight experience included 290.9 total hours with 50.8 hours in the last six months. 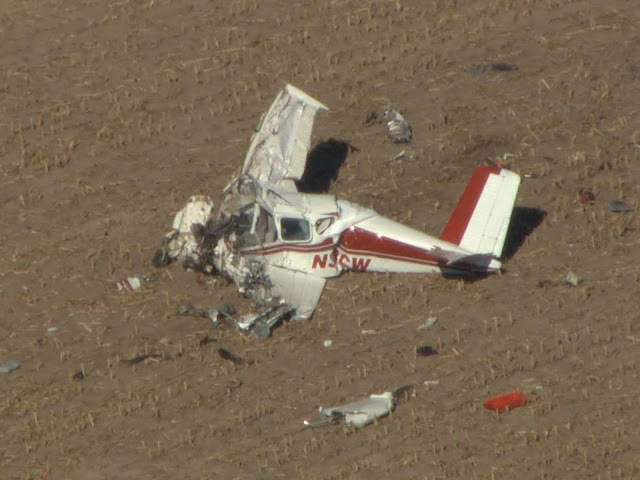 A review of the pilot's logbooks revealed that his total flight experience included 464 total hours, 131 hours in the accident airplane make and model, 24.3 hours in the last 30 days, 1.5 of which were in the accident airplane. The pilot's wife stated that he planned to fly the airplane owner to GXY for a meeting and believed that the accident flight was not an instructional flight, only a business flight. The passenger (airplane owner), age 41, submitted an application for a combined student pilot certificate and third class medical certificate on March 6, 2013; the pilot was not issued that certificate. On the application for the certificate he did not report any flight experience; however, a previous medical application that was submitted on February 11, 2000, listed 5 total hours with 0 hours in last six months. 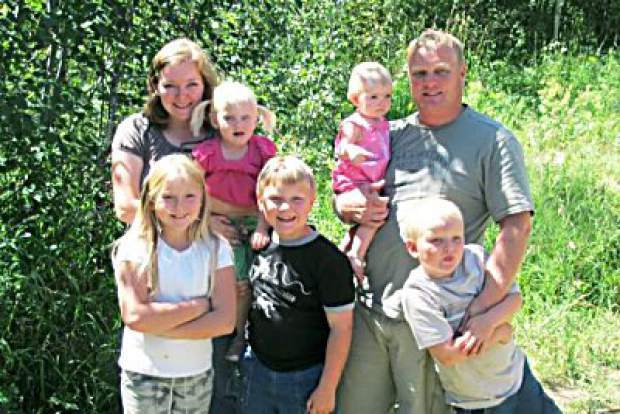 The owner's wife stated that he was not a pilot and had not yet started flight training. An LYO airport employee who interacted with the owner and accident pilot stated that the owner was to begin flight lessons with the accident pilot in the future. The Beech G35 Bonanza, serial number D-4863, was a four place, low wing, high performance airplane with retractable landing gear and was manufactured in 1956. The airplane was equipped with a Continental Motors E225-8 engine, which drove a two-bladed, constant speed metal Hartzell propeller. A review of the airplane's logbooks revealed that on May 7, 2015, an airframe annual inspection was completed at a total time of 5,091 hours. Also, a 100-hour inspection was completed on the engine and propeller at a tachometer time of 778.60 hours. The airplane was still registered to the previous owner because the updated registration paperwork had not been filed with the FAA. The previous airplane owner stated that on October, 10, 2014, the new owner and the accident pilot retrieved the airplane after the sale was complete and flew the airplane to LYO. He noted that the main and auxiliary fuel tanks were full of 100 low-lead fuel, and the wing tip tanks were empty. The airplane was equipped with a dual control arm with a control yoke installed on the left side and no yoke installed on the right side. The original throw over yoke was disconnected, but remained in the airplane; the push-to-talk button remained functional. The accident pilot requested and received a Lockheed Martin Flight Services (LMFS) online weather briefing at 1630 MDT on October 12. The LMFS online weather briefing contained all the standard weather information and forecast valid from 1630 MDT on October 12. The weather forecast products such as Airmen's Meteorological Information (AIRMETs) and Area Forecast were only valid through 2100 MDT on October 12 (AIRMET) or 0100 MDT on October 13 (Area Forecast). There was no record of the accident pilot receiving or retrieving any other weather information before or during the accident flight. An NTSB Meteorologist produced an official Weather Study Report based on the local weather conditions around the time of the accident. The report can be found in the public docket. The information below has been summarized from the Weather Study Report. At 1115 MDT, the GXY weather station reported wind from 340° at 14 knots with gusts to 19 knots, 10 miles visibility, clear skies below 12,000 ft agl, temperature 26° C, dew point -3° C, and an altimeter setting of 30.21 inches of mercury. At 1135 MDT, the GXY weather station reported wind from 340° at 9 knots with gusts to 16 knots, 10 miles visibility, clear skies below 12,000 ft agl, temperature of 26° C, dew point temperature of -4° C, and an altimeter setting of 30.21 inches of mercury. About the accident time, several pilot reports (PIREPs) were submitted near the accident area and mostly characterized the turbulence as extreme-severe and moderate in some cases. An AIRMET Tango was issued at 0845 MDT and was valid for the accident site at the accident time. The AIRMET forecasted moderate turbulence below flight level 180. The weather observations from GXY indicated visual flight rules (VFR) ceilings at the surface at the time of the accident with no visibility restrictions. The surface wind was gusting at GXY with wind between 10 and 20 knots and a varying wind direction switching from a surface wind from the northwest to a surface wind from the northeast, and to the east by 1335 MDT. A frontal boundary at the surface moved southwest across the accident area and this frontal boundary was a focus area for low-level wind shear (LLWS) and turbulence. The accident site was a harvested corn field about 8 miles north of GXY, latitude 40°33'55.52" N / longitude 104°39'16.60" W, elevation 4,843 ft mean sea level (msl). The wreckage path was defined by three distinct impact points and then the main wreckage oriented on a 230 degree heading. The first impact point was a long thin impact area with pieces of red glass near the far left side. The next impact point was a crater surrounded by airplane debris and broken windscreen; the dirt was disturbed toward the main wreckage. The final impact point was a long thin impact area with pieces of green glass near the far right side. The airplane came to rest upright about 45 ft from the impact crater and was orientated on a heading of 303 degrees. Airplane debris was found in the wreckage path from the initial impact point to the main wreckage and in the immediate surrounding area. All major components of the airplane were found at the accident site. The windscreen was broken and pieces were found in the main wreckage. The nose keel structure, with the engine partially attached, separated from the fuselage bottom. The keel and engine were inverted and under the right wing. The right wing remained attached the fuselage and was distorted upward near mid-span and the right wing tip was separated. The right main landing gear assembly was extended and the right inboard landing gear door was closed. The left wing was impact damaged and the outboard half was separated; the inboard section remained attached to the fuselage. The left main landing gear assembly was collapsed into the external side of the closed inboard landing gear door. The rear fuselage was found buckled to the left. The empennage and flight control surfaces were not visibly damaged. The cabin door was found separated. The dual flight control arm was found impact separated in the wreckage. A single control yoke was found next to the control arm and separated. A throw over yoke was found in the wreckage path with blue tape covering the installation mount. The aileron chain was separated from aileron sprocket, which remained attached to the backside of the firewall. 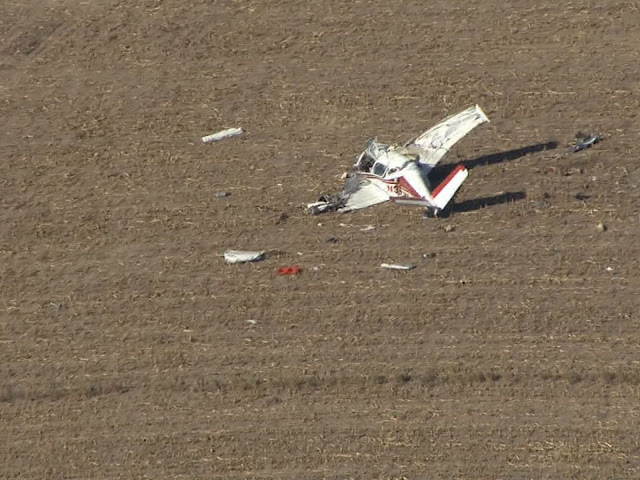 The aileron control cables remained attached to chain links. The left aileron bell crank balance arm was separated. The right aileron bell crank remained intact. The elevator control cable remained attached to the control column. The rudder cables remained attached to the forward rudder bell crank. The rudder and elevator flight controls located in the rear fuselage remained intact and attached to the control surfaces. Note: each AUX tank should contain the same quantity of fuel, since the outputs are interconnected. The engine was manually rotated and all six cylinders produced suction and compression. The crankshaft appeared to be undamaged. Continuity was established by manually rotating the engine and observing timing gear, magneto and camshaft rotation. When rotated by hand, both magnetos produced sparks at each ignition lead. A lighted borescope inspection was performed and all exhaust and intake valves were intact. When compared to a Champion "Check A Plug" chart, sparkplugs from the No. 1 cylinder were "worn out severe", while sparkplugs from Nos. 2, 3, 4, 5 and 6 exhibited normal wear signatures. The carburetor was intact with damage noted to the mounting flange. The fuel screen was removed and a small quantity of contamination was noted. No fuel was found in carburetor. The carburetor throttle control and mixture arms remained attached and secured. The engine driven fuel pump was separated from the accessory case and remained attached by a fuel hose. The fuel pump housing was impact damaged and could not be rotated. The drive coupling and gear were not observed. The two propeller blades were designated A and B for documentation purposes only. Blade A remained attached to the propeller hub, but was loose in the hub assembly. The blade displayed scratching and scoring on the cambered face and a smooth rearward bending signature beginning about 16 inches from the blade root. Blade B separated from the hub and exhibited a smooth forward bending signature beginning about eight inches from the blade hub. There was a deep gouge on the trailing edge about five inches from the blade tip. The postaccident examination of the engine and airframe did not reveal any preimpact mechanical malfunctions or anomalies that would have precluded normal operation. On October 14, 2015, an autopsy was performed on the pilot at the Weld County Coroner's Office, Loveland, Colorado. The cause of death was listed as multiple blunt force injuries and the manner of death was ruled an accident. The FAA Civil Aerospace Medical Institute completed a Final Forensic Toxicology Fatal Accident Report which was negative for tested-for-drugs. On October 14, 2015, an autopsy was performed on the passenger at the Weld County Coroner's Office, Loveland, Colorado. The cause of death was listed as multiple blunt force injuries and the manner of death was ruled an accident. The FAA Civil Aerospace Medical Institute completed a Final Forensic Toxicology Fatal Accident Report which was negative for tested-for-drugs. 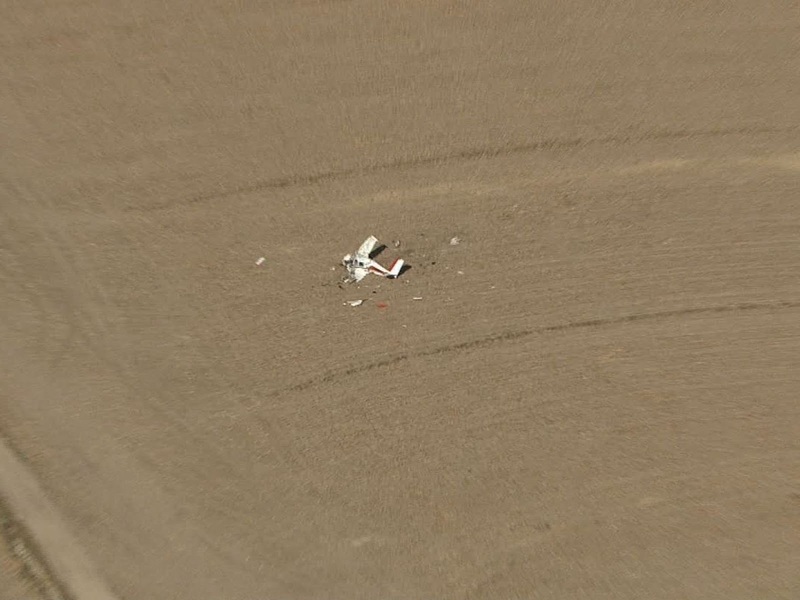 An iPad, iPhone, and Dual SkyPro XGPS160 were recovered from the accident site and sent to NTSB Recorders Laboratory for examination and download. • The iPad was impact damaged and data recovery was not possible. • The iPhone contained a ForeFlight application which revealed a route "KLYO KGXY" on the device screen. The distance computed by ForeFlight for the route was 322 nautical miles, a time enroute of 2 hours and 28 minutes, and a fuel consumption of 24.7 gallons. • When the iPhone was observed at the accident site it was on and the ForeFlight screen was shown. At that time the distance computed by ForeFlight for the route was 322 nautical miles, a time enroute of 2 hours and 32 minutes, a fuel consumption of 25.9 gallons, airspeed 150 mph, and a fuel consumption rate of 10 gallons per hour (gph). • Data from the Dual SkyPro XGPS160, a battery powered GPS receiver, was downloaded normally and revealed a flight log from September 17, 2015, and was not pertinent to the investigation. The accident airplane was equipped with a single fuel quantity indicator gauge. Switches on the instrument panel allowed the pilot to select which tank to monitor on the gauge. Only one tank could be monitored at any given time. The previous owner stated that he told the accident pilot and owner to set the engine to 2,350 rpm and 23.5 inches of manifold pressure (MP) which would yield fuel consumption about 12 gph. He also told them to begin flying on the left tank for 1 hour and 15 minutes, switch to right tank for 1 hour and 20 minutes, then to the aux tanks for 1 hour and 15 minutes. He stated that this method would keep the fuel even in the tanks. 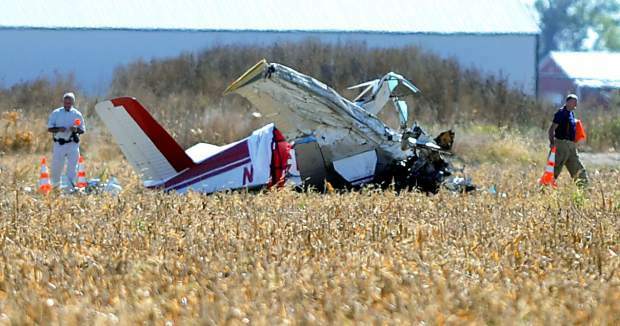 On October 10, 2105, the accident pilot flew the owner in the accident airplane to LYO after the airplane was purchased. The flight time was 1.5 hours and 17.4 gallons were consumed. This yielded a fuel consumption rate of 11.6 gph. 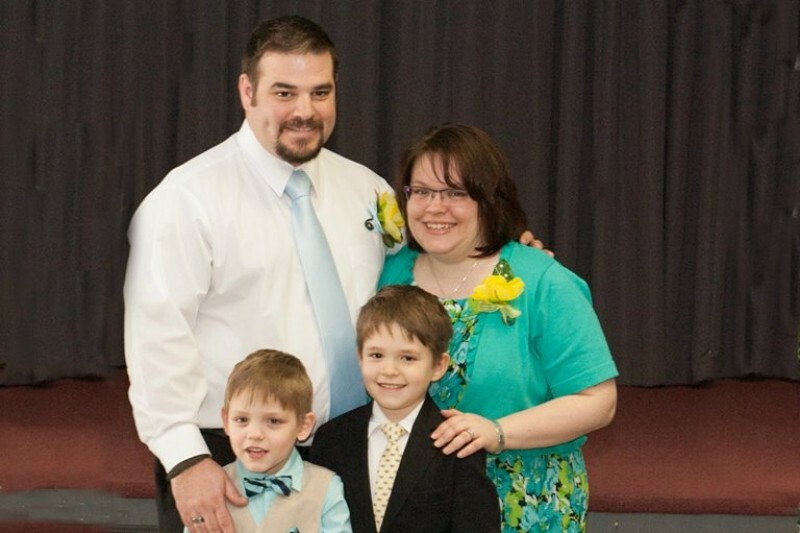 Ben Bates and his family. Jared Langston and his family. Jared Langston and his sons. 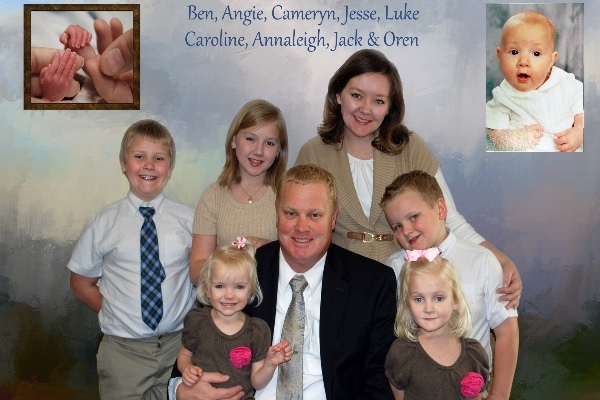 Benjamin Bates, top right, with his family. 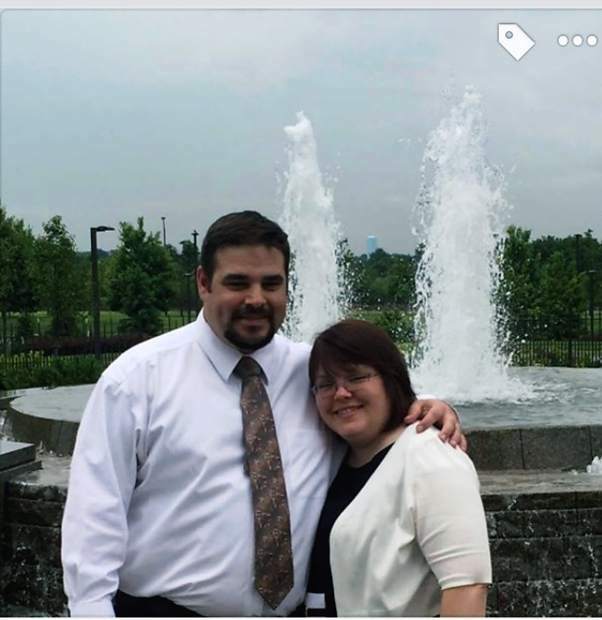 Jared Langston, left, posses with his wife. On October 13, 2015, at 1134 mountain daylight time (MDT), a Beech G35 airplane, N394CW, collided with terrain near Eaton, Colorado. 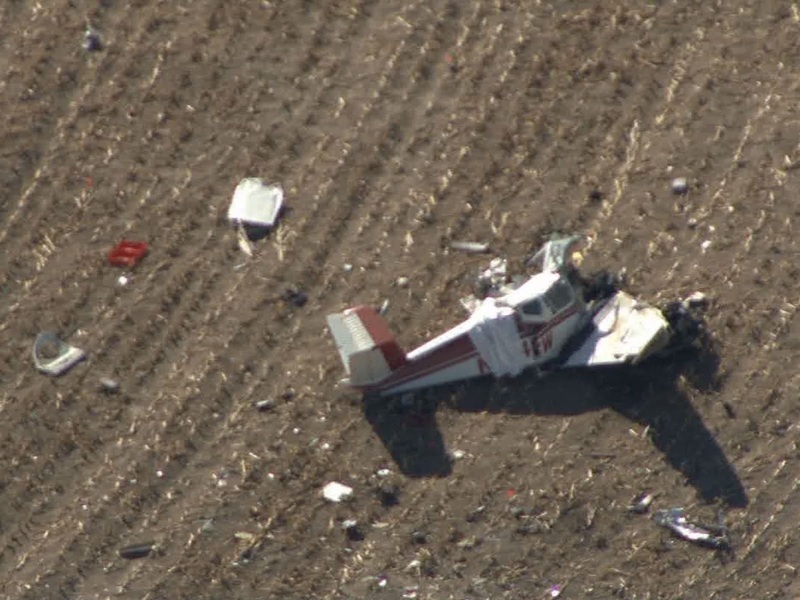 The commercial pilot and passenger were fatally injured. The airplane was registered to and operated by a private individual under the provisions of 14 Code of Federal Regulations Part 91 as a personal flight. Visual meteorological conditions prevailed at the time of the accident and no flight plan was filed. The flight originated from the Lyons-Rice County Municipal Airport (LYO), Lyons, Kansas, at 0918 central daylight time (CDT) and was destined for the Greeley-Weld County Airport (GXY), Greeley, Colorado. The owner purchased the airplane on October 10, 2015, and rented a hangar at LYO to store the airplane. On the morning of the accident the owner arrived at LYO about 0800. 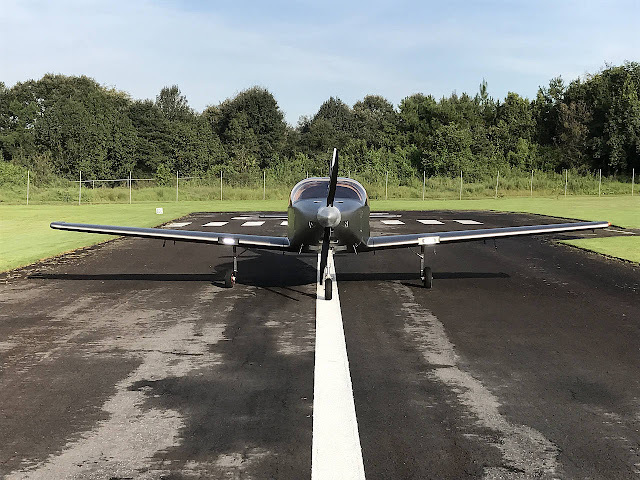 The airport manager helped the owner pull the airplane out of the hangar and service the main fuel tanks with a total of 17.4 gallons of 100 low-lead fuel. The owner and the pilot departed after 0900 and were flying to GXY for a meeting. A review of preliminary radar data revealed at 0918 CDT the airplane departed LYO and proceeded northwest. At 1127 MDT the airplane approached GXY from the southeast and proceeded north. About 8 miles north of GXY the airplane entered a left turn and descended. At 1134 MDT, the last radar point showed the airplane descending on a southwest heading. An examination of the accident site revealed that the airplane collided with the ground in a nose low attitude and came to rest on a heading of 303 degrees. The wreckage path was aligned on a heading of 230 degrees and included three distinct impact marks; the first contained red colored glass consistent with a left wing impact, the second was a larger crater that contained pieces of the windscreen and fiberglass consistent with an engine impact, and the third contained green colored glass consistent with a right wing impact. The engine was mostly detached from the airframe and came to rest inverted. The airplane was equipped with a two-bladed propeller; one blade remained attached and the other blade separated from the propeller hub. An iPad and iPhone with the ForeFlight mobile application were recovered from the accident site and sent to NTSB Recorders Laboratory for examination and download. At 1135 MDT, the local weather observation for GXY reported wind from 340 at 9 knots gusting to 16 knots, 10 miles visibility, clear sky, temperature 79° F, dew point 25° F, and altimeter 30.21 inches of mercury. 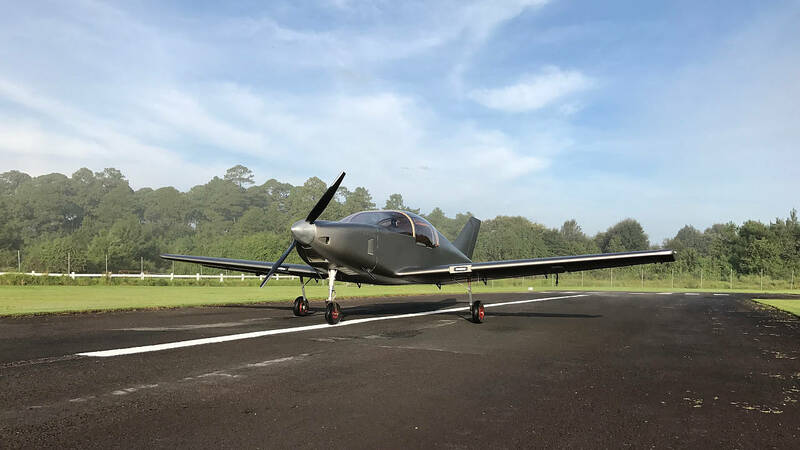 Two Mexican firms have built the country’s first wooden aircraft, a two-seat, single-engine plane designed for recreational use. Built with aviation-grade birch and fir, the aircraft has been certified by the Federal Aviation Administration of the United States and will be available for purchase in December. The selling price will be US $180,000. 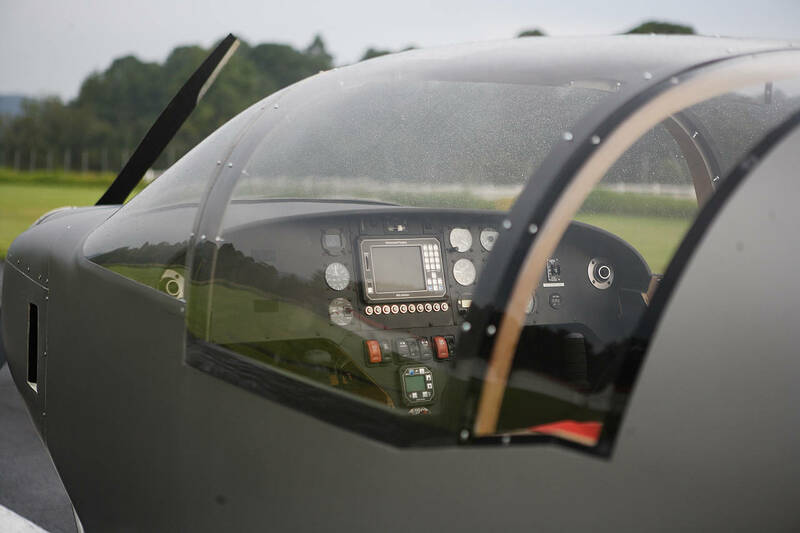 The side-by-side two-seater belongs to the Light Sport Aircraft category, with a flight range of six hours at maximum cruising speed of 260 km/h. Designed by Giovanni Angelucci and built by the Mexican firms Horizontec and Pirwi, the planes can reach an altitude of 15,000 feet. The builders describe the manufacturing process as artisanal; planes can be customized according to clients’ wishes. Designed as a recreational and sports craft, the planes can also be used for educational and territorial surveillance purposes, explained the manufacturers. This wooden airplane is the first in more than 50 years to be completely built in Mexico; the country’s rapidly growing aviation industry has manufactured only parts since the 1950s. The first five planes built by Pirwi and Horizontec were presented on Wednesday during Mexico Design Week in Mexico City’s Museo Tamayo. The pilot of the tailwheel equipped airplane reported that during the landing roll out with the tailwheel down, the tail of the airplane lifted back into the air, at that time he attempted to abort the landing. The pilot further reported that when the airplane became airborne the left wing dropped, then the right, both of which he countered. Subsequently, the left wing dropped again and struck the ground. The airplane exited the runway to the left and came to rest on its nose. 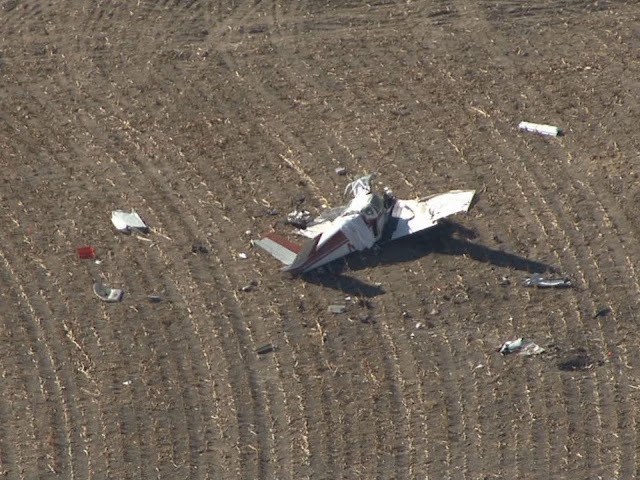 The airplane sustained substantial damage to the left wing and aileron. After the accident, witnesses reported to the pilot that a dust devil had touched down in front of the airplane during the landing. 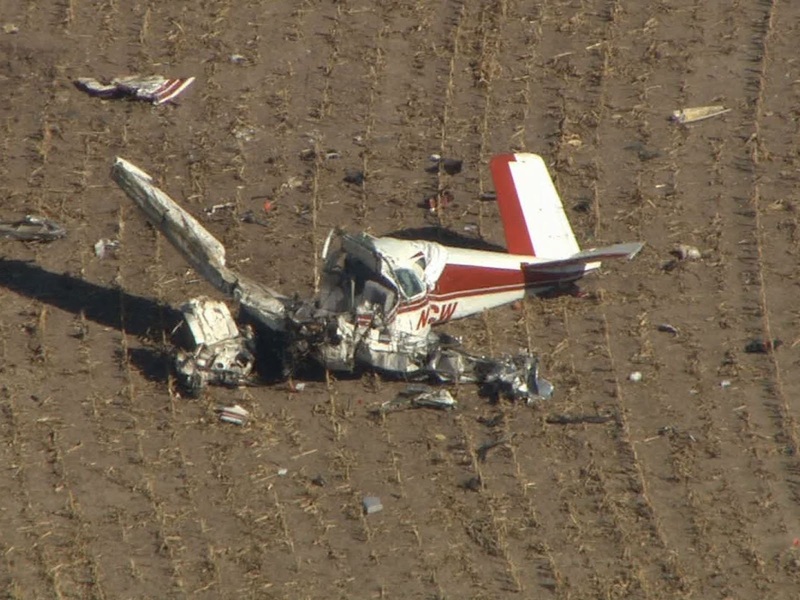 The pilot reported that there were no pre impact mechanical failures or malfunctions with the airframe or engine that would have precluded normal operation. The noninstrument-rated private pilot obtained weather information from an on-line flight planning website. Before departure, he also telephoned his destination airport and "determined the weather was all OK." He then took off and climbed to 5,500 ft mean sea level for the cruise portion of his flight. He advised that he also checked and monitored weather while en route but that the "fog and clouds came down really thick," so he decided to divert to the nearest airport. While flying toward his diversion airport, the visibility deteriorated and a "TERRAIN ALERT" warning illuminated on his GPS display. He attempted to pull up twice but impacted trees and terrain on the side of a mountain. The pilot and passenger were seriously injured during the impact, and the airplane was substantially damaged. The pilot reported that there were no preimpact mechanical failures or malfunctions of the airframe or engine that would have precluded normal operation. Review of weather observations indicated that an extensive area of low clouds and a large area of marginal visual flight rules (MVFR) conditions existed over the pilot's planned route. 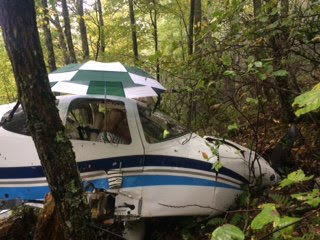 Low instrument flight rules (IFR) conditions prevailed at the diversion airport and near the accident site with visibility less than 1/4 mile in heavy rain and overcast ceilings at 100 ft. The MVFR-to-IFR weather conditions had been forecast, and AIRMETs warning of IFR and mountain obscuration conditions had been issued. The noninstrument-rated pilot's inadequate preflight and in-flight weather planning and continued flight into instrument meteorological conditions, which resulted in impact with trees and terrain. The non-instrument rated private pilot obtained weather information from an online flight planning website. Prior to departure he also telephoned his destination airport and "determined the weather was all OK." He then took off and climbed to 5,500 feet above mean sea level for the cruise portion of his flight. He advised that he also checked and monitored weather while enroute, but the "fog and clouds came down really thick," so he decided to divert to the nearest airport. While flying towards his diversion airport, the visibility deteriorated and a "TERRAIN ALERT" warning illuminated on his GPS display. He attempted to pull up twice, but impacted trees and terrain on the side of a mountain. The pilot and passenger were seriously injured during the impact and the airplane was substantially damaged. The pilot reported that there were no preimpact mechanical failures or malfunctions of the airframe or engine that would have precluded normal operation.Review of weather observations indicated an extensive area of low clouds, and a large area of marginal visual flight rules (MVFR) conditions existed over the pilot's planned route. Low instrument flight rules (IFR) conditions prevailed at the diversion airport and in the vicinity of the accident site, with visibility less than 1/4-mile in heavy rain and overcast ceilings at 100 ft. The MVFR to IFR weather conditions had been forecast, and AIRMETs warning of IFR and mountain obscuration conditions had been issued. 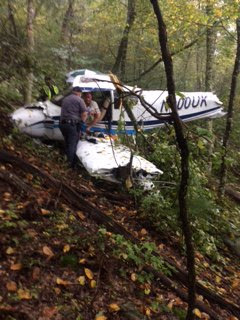 BATH CO., Va. -- A small plane crashed just outside of Hot Springs in Bath County. A passenger in the plane was able to call 911 and say they had crashed, but had no idea where they were. 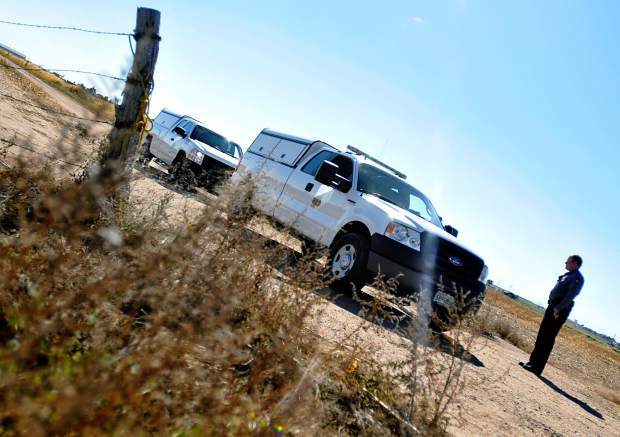 The experimental aircraft went down just a mile or two south of town Friday afternoon. Rescuers with the help of the U.S. Air Force were able to ping that cell phone and find this scene. 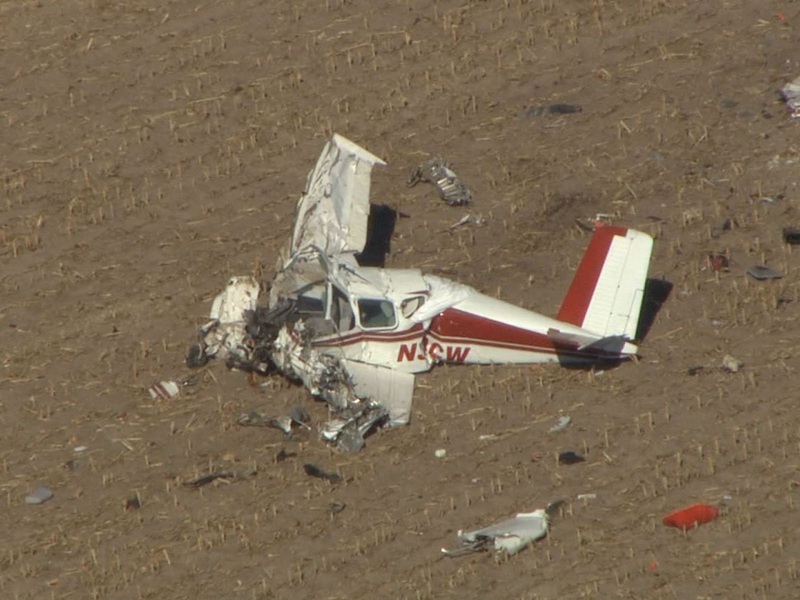 The pilot and the passenger suffered some broken bones and cuts and but made it out alive. The plane was flying from Kentucky to Maryland when they tried landing at the local airport because of weather. "There was no mechanical failure that we know of at this point, obviously it's an ongoing investigation," First Sgt. Anthony Nicely of Virginia State Police said. "I spoke to one of the supervisors on scene at the site and they were just trying to get in to go to Ingalls and got too low in the fog and couldn't see anything and just crashed straight into the side of the mountain." The plane crashed about 200 feet below the ridge line. 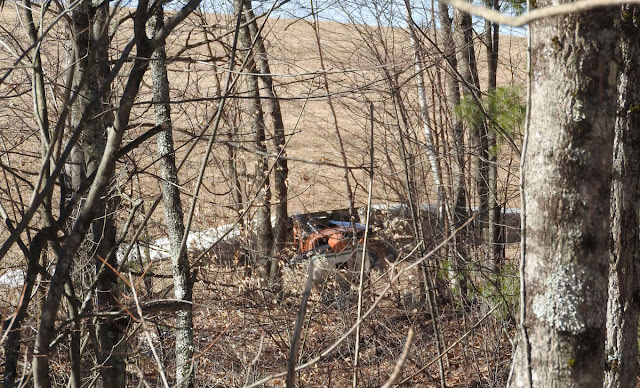 The crash site was far from paved roads. Rainy weather complicated the rescue efforts and one of the rescuers suffered cuts to his leg and head. The Federal Aviation Administration asked local crews to leave the crash undisturbed. It will come to investigate why this happened. 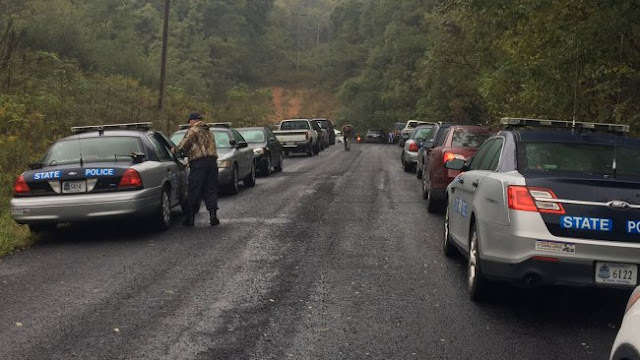 BATH COUNTY (WSLS 10) – Two people have rescue crews in Bath County to thank for saving their lives. 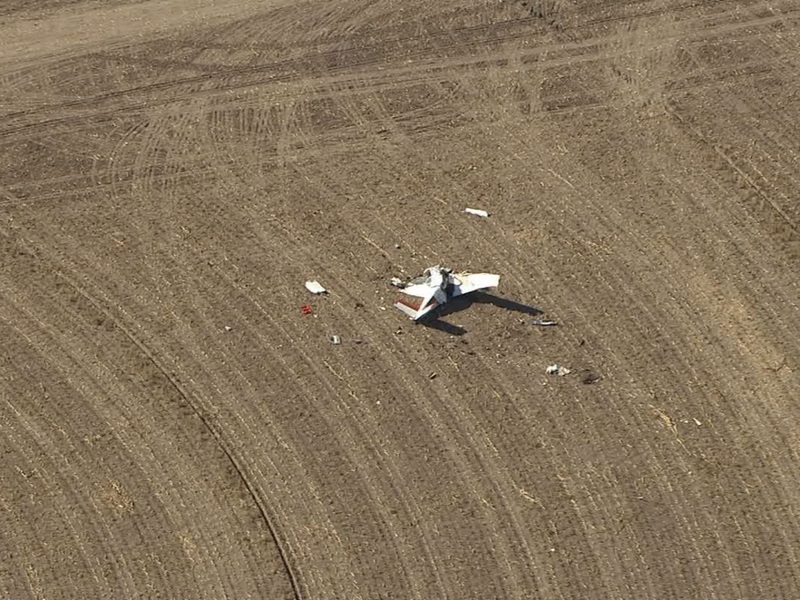 A man and woman crash landed in a small plane in the town of Healing Springs on Friday afternoon. 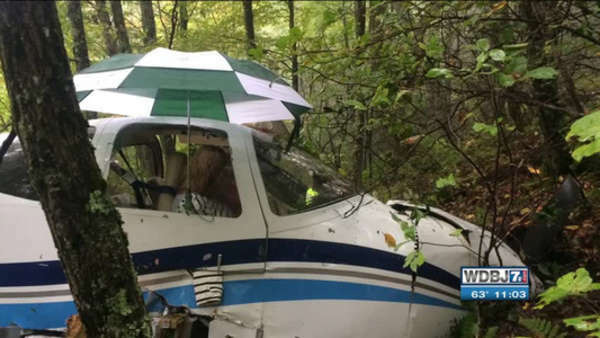 After the plane crash landed, crews from Bath County, Highland County and state police converged on its location and had to battle the elements to get the two passengers to safety. 1st Sgt. Anthony Nicely with Virginia State Police said the RV-10 Model plane was trying to make its way from Louisville, Kentucky to Annapolis, Maryland. 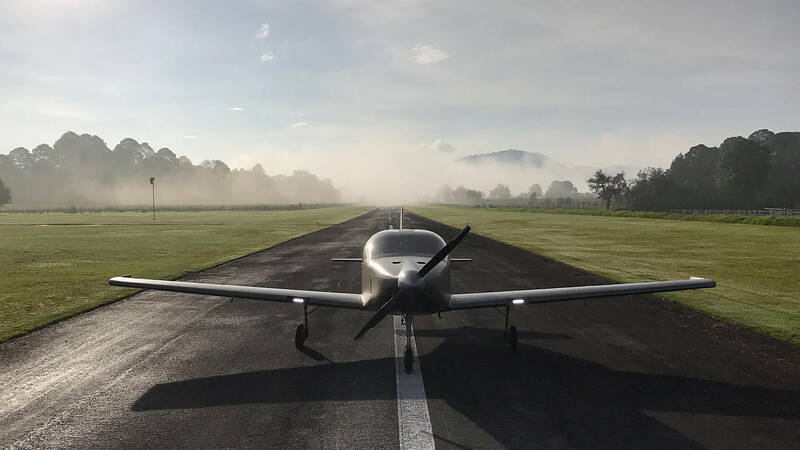 “As they started approaching the weather, the fog set in on them and they were going to try to jump off or land at Ingalls Airport in Bath County. Prior to being able to do that, they got into heavy fog and just crashed into the side of the mountain,” explained Nicely. When crews arrived there was no road that led to the plane. “They had to cut their way in and essentially cut their way out and just manpower carried these guys out,” continued Nicely. “Non-life threatening injuries, some broken bones and lacerations,” said Nicely. Next came the difficult process of getting the man and woman out of the plane and down the mountain. “It’s a slow process because of the weather and the grading back there is extremely steep, so it’s going to take probably a half hour or so to get the first one out,” explained Nicely. The two were safely loaded into an ambulance on the opposite side of the mountain from the staging area and then taken to Bath County Hospital. One of the struggles crews faced was that they couldn’t airlift these people due to fog and visibility concerns, so they had to be carried down to the ambulance on what is known as open trail. Crews said it's remarkable that both passengers survived. WARM SPRINGS, Va. (AP) - State police have identified the two people who survived an airplane crash in Bath County last week. Sgt. Rick Garletts told news outlets Sunday that 61-year-old Paul S. Furlow, of the United Kingdom, and 49-year-old Siri Njos, of Louisville, Kentucky, were the only two passengers in the four-seat plane Friday afternoon. Rescue workers found both Fulow and Njos inside the plane after Njos called 911 to report the crash. Authorities say the plane encountered bad weather while heading to Annapolis, Maryland from Louisville. Furlow tried to find the Ingalls Field airport, but flew too low and caused the plane to strike some trees and crash. The tail and one of the wings was damaged, but the cabin area was left relatively intact.